As of June 27, NoPetya Ransomware has been widely spread over the globe, using EternalBlue SMB vulnerabilities. 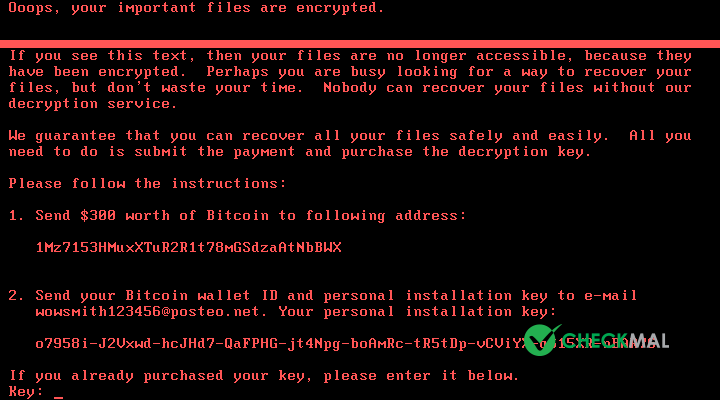 NoPetya encrypts files and includes Master Boot Record tampering behavior. While AppCheck Free users are protected from data encryption, MBR Protection is only available in AppCheck Pro version. This will affect AppCheck Free version users to unable to boot into Windows, displaying fake Chkdsk screen. It is recommended to upgrade to AppCheck Pro version, for full protection including MBR and AutoBackup, while we are running special price promotion.